CANTON, MA (March 23, 2017) – Dunkin’ Donuts is readying for warmer weather with the reveal of a refreshing beverage lineup for spring and summer, led by new Coconut Crème Pie flavored iced coffee, the return of Butter Pecan flavored iced coffee, and the nationwide launch of Fruited Iced Teas. 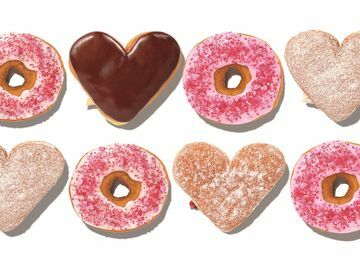 Dunkin’ Donuts also has two new delicious donuts designed specifically to feature ideal flavors for pairing with the brand’s coffee beverages. And, for breakfast lovers, Dunkin’ Donuts is unveiling a pretzel croissant as part of its new Pretzel Croissant Breakfast Sandwich. 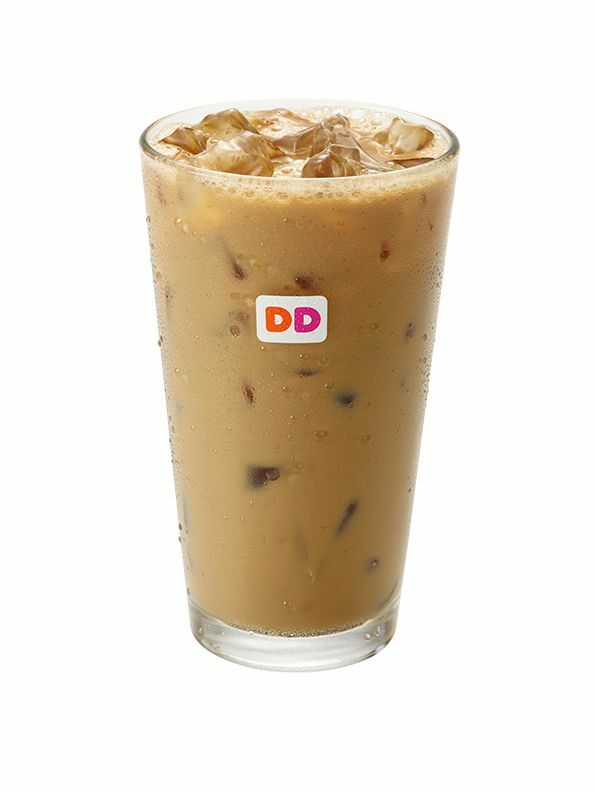 Dunkin’ Donuts’ new Coconut Crème Pie flavored iced coffee offers a creamy combo of vanilla, coconut and sweet pie crust flavors. Returning fan favorite Butter Pecan flavored iced coffee features indulgent butter roasted pecan and sweet cream flavors. Both can be enjoyed hot or iced and in any coffee, latte or macchiato. For a perfect beverage that balances refreshment and sweetness, Dunkin’ Donuts is introducing Fruited Iced Teas nationwide. Featuring freshly-brewed Black tea or 30% Rainforest Alliance Certified Green Tea mixed with real fruit juice and topped with real pieces of fruit, Fruited Iced Teas are available in two flavors, Mango Pineapple with Peaches and Blackberry with Strawberries. 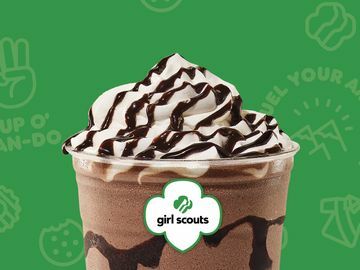 Hot winter beverages will turn to frozen, including Original Hot Chocolate, Dunkaccino, Salted Caramel Hot Chocolate and Mint Hot Chocolate at participating Dunkin’ Donuts locations throughout the country. Just as specific wines pair well with cheese, certain donut flavors offer an excellent complement to coffee. Dunkin’ Donuts’ culinary team has created two new donuts designed to feature ideal flavors to pair with the brand’s coffee beverages. Flavor combinations, which will be featured by the culinary experts throughout the year, are intentionally designed to elevate guests’ overall taste and flavor experience in both the donuts and the coffee. The new Chocolate Pretzel Donut, to be paired with the Butter Pecan Coffee, is a glazed chocolate cake donut topped with sweet caramel icing drizzle and salty crushed pretzels. The salty pretzel topping and sweet notes of chocolate and caramel provide the ideal balance to the sweet, creamy, toasted nut flavor of the Butter Pecan Coffee. The new Peanut Butter Delight Croissant Donut, to be paired with Cold Brew Coffee, features a glazed croissant donut filled with peanut butter buttercreme and topped with a chocolate icing drizzle. The creamy peanut butter and chocolate icing elevate the subtle chocolate notes in Dunkin’ Donuts’ Cold Brew Coffee. Also returning is the Spring Flowers Donut, a yeast ring donut frosted with light green icing and topped with flower sprinkles. 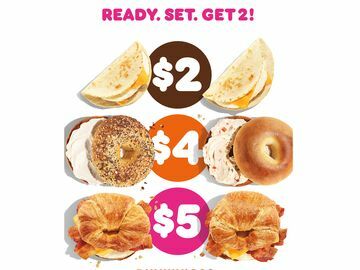 Dunkin’ Donuts is serving up a satisfying new breakfast option as well, introducing the new Pretzel Croissant Breakfast Sandwich. The sandwich features Cherrywood Smoked Bacon, egg and Wisconsin Aged White Cheddar Cheese, served on a new pretzel croissant that brings together the flaky, buttery goodness of a croissant with the salty deliciousness of a pretzel. The Pretzel Croissant Breakfast Sandwich can be enjoyed with a Dunkin’ Donuts hot coffee. 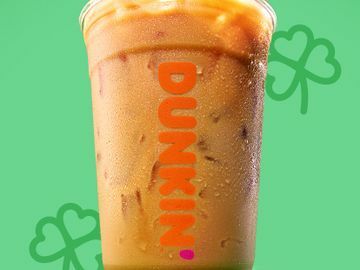 Finally, to kick off the season of iced coffee, Dunkin’ Donuts will offer its first-ever national Snapchat filter on March 30. To make it sweeter, the filter will feature four different themes based on time of day. Users will be able to get a different filter when they wake up, mid-morning, afternoon and evening. The Dunkin’ Donuts iced coffee Snapchat filter will be available one day only, on March 30, for all users throughout the country.